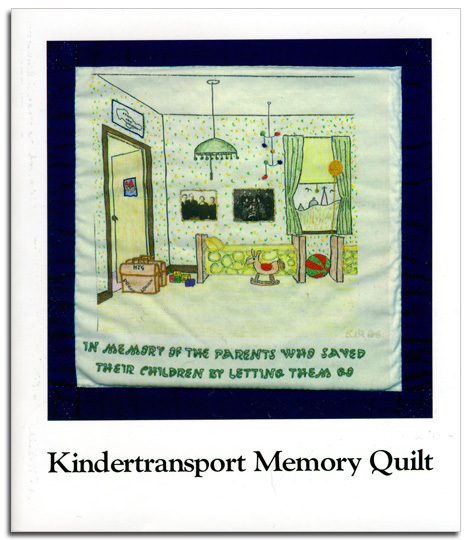 A more detailed description of the events leading to the Kindertransport and the creation of the Memory Quilts, as well as the complete essay submitted by each quilt square donator, can be found in the Kindertransport Memory Quilt Book. Books are available at the Holocaust Memorial Center Zekelman Family Campus for $18 per book, plus shipping and handling. Books are also available for bulk sales at a considerably reduced price to learning institutions for educational purposes.